Over the past year, due to some health reasons, I’ve really changed how I eat (there’s another post about that experience coming soon!). One of the changes has involved finding dairy substitutes. I haven’t given up meat completely, but I have started looking at more plant-based options. 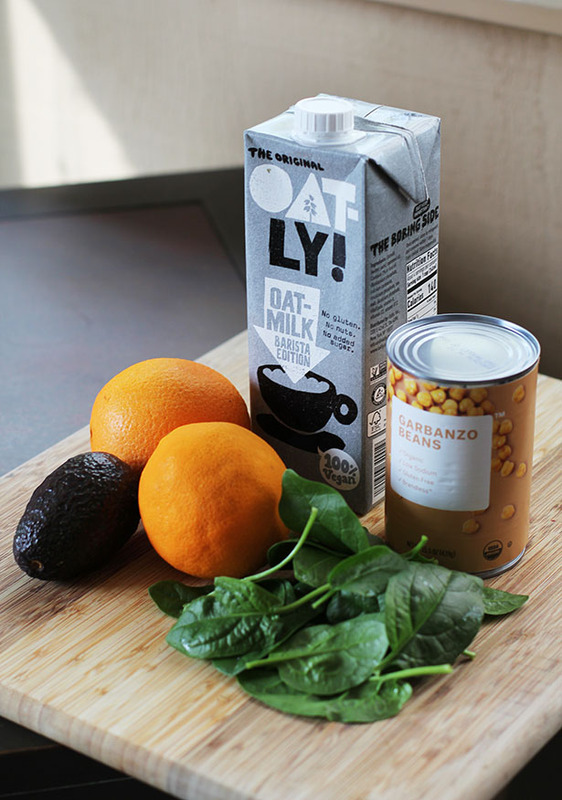 Looking for milk alternatives kicked that process off for me and really got me thinking about more plant-based eating overall. So why should we care about plant-based eating? Bottom line: animal-based food takes more of a toll on the environment (especially food coming from cows). When you talk about vegetarianism or veganism, many omnivores get nervous and feel like it’s just too hard to make that kind of switch. But focusing on more plant-based eating doesn’t necessarily mean you have to go vegetarian or vegan. There are lots of ways to incorporate plant-based foods and ease yourself into a new way of eating. In addition, looking at where the highest environmental impacts are in the food system and then adjusting from there can have a really big impact, beyond just plant-based foods. For example, take a look at the chart below (data taken from an article published in Nature assessing land use changes and climate change). It is both surprising and unsurprising. First, a vegan diet clearly has the smallest negative impact on the environment. But what pops out at me is the impact foods sourced from cows have. A vegetarian that eats dairy has a larger carbon cost than a person who eats poultry and eggs but skips dairy and beef. That is excellent food for thought. As I was getting ready for my resolution, I came across a journal article published in Nature. I turned to my friend Dr. Megan O’Rourke, Assistant Professor of Sustainable Food Production Systems at Virginia Tech, with some questions I had. Megan and I have known each other since middle school (in fact I introduced her to her husband of 20+ years!). As Assistant Professor at Virginia Tech, Megan examines the value of biodiversity in agriculture and the environmental impacts of different food systems. Megan’s interest areas include sustainable agriculture, organic production, international development, land use change, and agroecology. She has extensive international and policy experience working with the Department of Agriculture’s Foreign Agricultural Service as the organization’s climate change advisor. 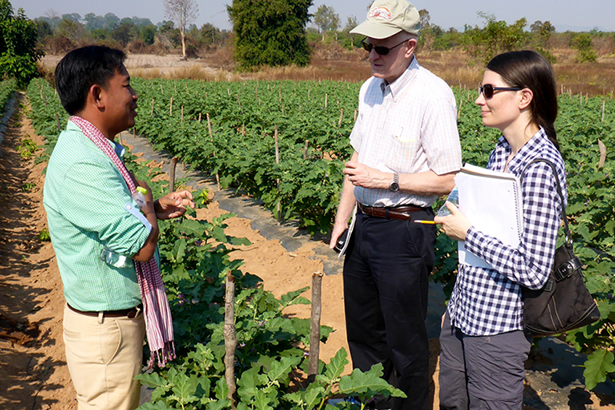 In addition, Megan studied farming systems and deforestation in Cambodia where she worked for the United States Agency for International Development as their senior climate change advisor. As Megan and I got to talking about food issues, I felt like I just couldn’t keep her to myself and, lucky for us, I convinced Megan to contribute to the blog. Now I get to share Megan and all the awesome stuff in her head with you. Welcome, Megan! Over the next year (and hopefully longer) I will share tips and tricks for more plant-based eating and Megan will offer her expertise. I’m really excited about this year’s resolution and for you all to join in on the journey. Recent research is showing how eating a plant-based diet may be good for slowing climate change. You may be thinking, what does a plant-based diet have to do with slowing climate change? Everything we eat has a carbon cost and some foods have lower carbon costs than others. Too much carbon in the atmosphere is what traps solar energy and causes things to heat up. The total carbon cost of food includes how much carbon is directly emitted during production from inputs such as fertilizers, tractor fuel and pesticides. It also includes an opportunity cost for using the land for agriculture. The carbon costs of agricultural inputs are pretty straight forward to wrap our heads around; growing stuff takes energy and releases carbon. But understanding carbon opportunity costs is a bit trickier. Think about a forest and a corn field. The forest has much more plant mass than a corn field and stores more carbon, so cutting down a forest to grow corn has a large carbon opportunity cost. If you think about how much land and inputs are required to produce beef (about 2 acres per cow) compared to corn (2 acres for about 20,000 lbs) you start to realize that eating beef requires a lot of land and has a much larger carbon cost than eating a plant-based diet. In fact, one pound of beef has a carbon cost almost 75 times higher than a pound of corn and 40 times higher than a pound of rice. In addition, not all animals are created equal. The carbon cost of beef is 14 times higher than chicken and nine times higher than pork. When we start to compare different diets, we also come up with vastly different carbon costs. 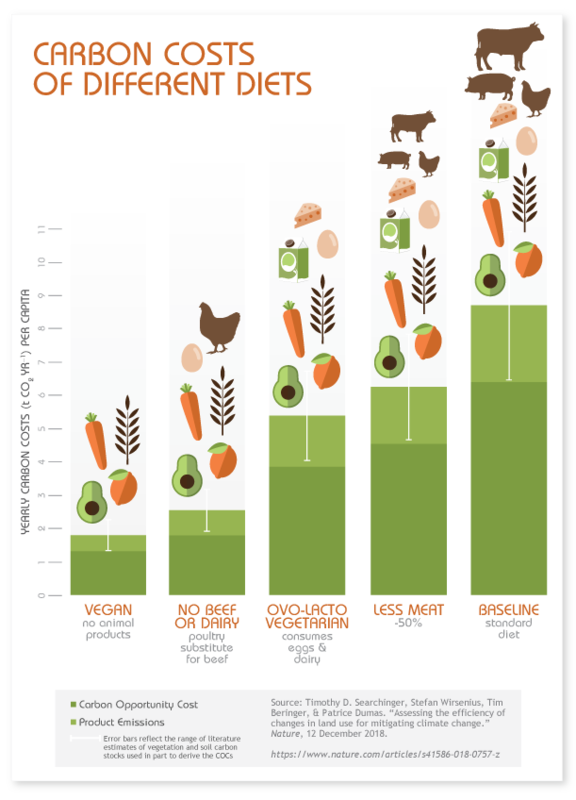 If we compare a typical western diet with a 50% less meat, vegetarian, no beef or dairy, and vegan diets, we find that a vegan diet has the lowest carbon costs. The total carbon costs of each diet are about 9, 6, 5, 3, and 2 tons of carbon dioxide per year, respectively.